When we’re feeling down, recovering from an illness, injury, accident, or surgery, nothing picks us back up again quite like a thoughtful get well card from someone who cares about our wellbeing. Even if our symptoms persist, knowing someone cares enough to send us their good thoughts and well wishes for our recovery goes a long way toward making us feel better. 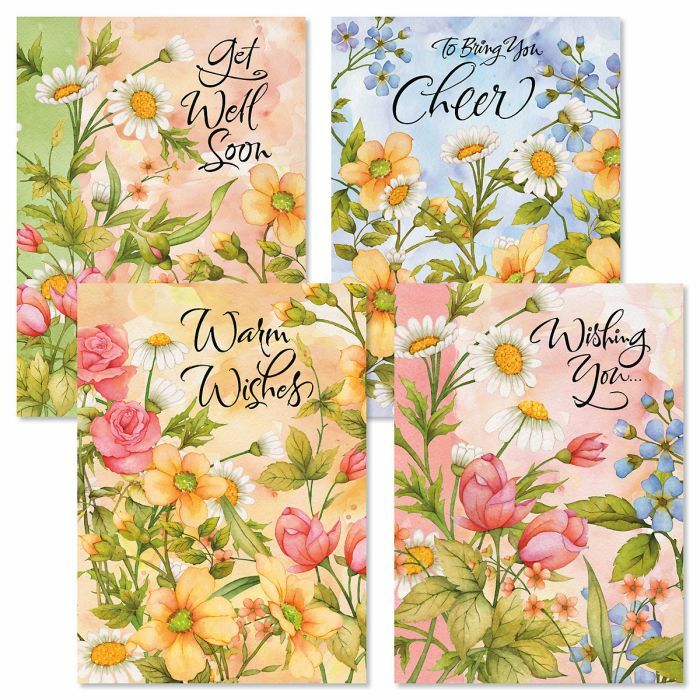 Here are some suggestions for what to say in your next get well card. Sorry to hear you’re feeling down. Hope you get well soon! We miss your smiling face around here! Get better soon and come back to us. We heard you’re feeling a bit under the weather. Hope you get better real soon. No one around here can take your place. Get well soon! Being sick is no fun. Hope you’re feeling better soon. Something got you down? Hope knowing you’re missed helps you feel better! We heard there’s something going around. Sorry to hear it got you. Get well soon! I heard you’re not up to your usual antics. Hope you get well real soon! I know you’re having a rough time right now. Sending healthy thoughts your way! Feeling bad is the pits. Thinking of you and sending good thoughts for a quick recovery. So the doctors say you have to stay in bed? Enjoy your downtime and get well soon. Sorry to hear your health got derailed. Hope you get back on track real soon! So you’re really too sick to come to work? Boy, some people will do anything to get a little extra attention! Seriously though, we hope you feel better soon. Get well soon! This place just isn’t the same without you. Thinking of you during your recovery and sending healing thoughts your way. Prayers for you to find new strength each day as you recover from your surgery. Sometimes you don’t know how much you need something until it isn’t there. Get well soon, we need you! I know you’re going through a battle right now. Just remember, tough times don’t last, but tough people do! Hang tough my friend and get well soon! Hang in there, better days are just ahead. Sending healing thoughts your way for a speedy recovery. The nurses say you’ve been in the hospital long enough. Come home soon, there are better ways to get all the Jell-O you can eat! Whether you’re serious, playful, silly, or thoughtful, your well wishes for someone who’s not feeling well or recovering from an illness, accident, or injury are always appreciated. Know someone feeling down? 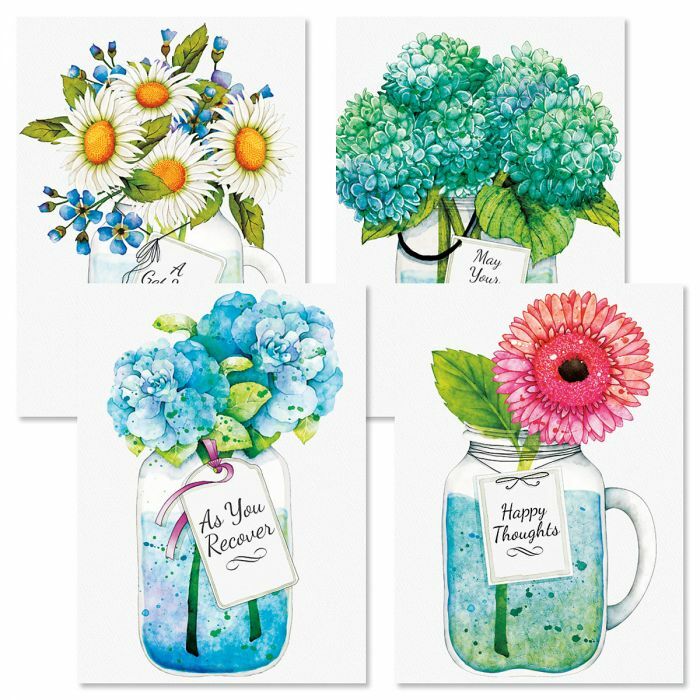 Send them a get well card with a personal message and brighten their day today! You’ll feel better, and so will they. Current Catalog • This entry was posted in How to Say It, Keeping in Touch.